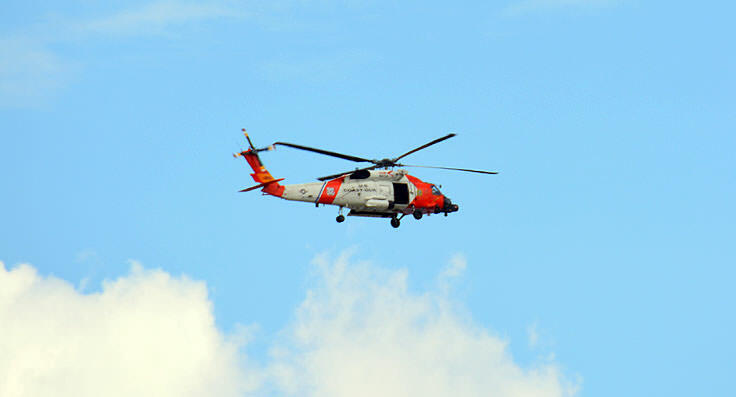 Outer Banks and Inner Banks Coast Guard personnel, as well as Coast Guard recruits from all over the nation, are very much familiar with the Coast Guard Air Station (CGAS) in Elizabeth City. This flagship station has been instrumental in leading the region in search and rescues missions, and is easily one of the largest and busiest Coast Guard air stations in the United States, embarking on East Coast airborne operations as far away as the Caribbean, the Azores, and Greenland. 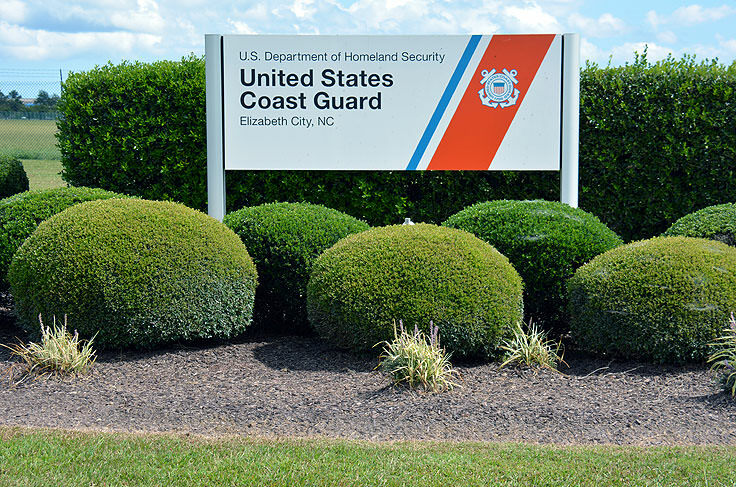 Serving dual purposes as a military base that assists with search and rescue, Maritime Law enforcement, and International Ice Patrol, as well as an institute where Aviation pros earn their wings, the station is a proud hallmark of the United Sates Coast Guard, and a distinctive point of pride for Elizabeth City and Albemarle region residents. 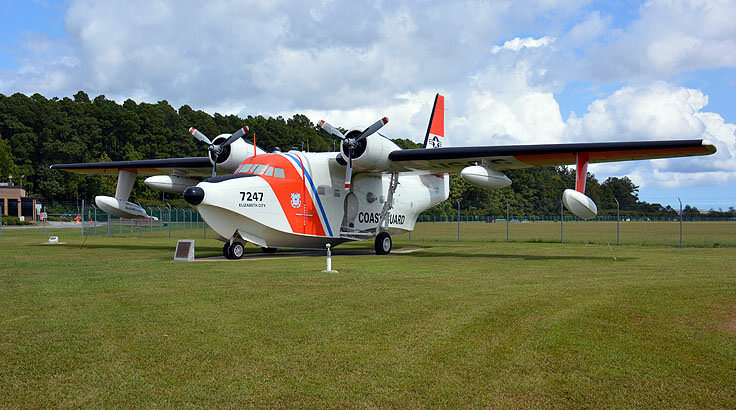 The Coast Guard Air Station, known generally as the CGAS Elizabeth City, was first founded in 1940. The Inner and Outer Banks regions already had a longstanding history of brave and successful lifesaving stations, which could be found throughout the barrier island beaches, protecting mariners from the treacherous waters off the Pasquotank River and the Atlantic Ocean's Diamond Shoals. When the original Lifesaving Service was replaced by the US Coast Guard, the new military institution went to work creating both command and satellite stations that would pick up where the former lifesaving stations left off. The coastal region off of North Carolina, especially along the Outer Banks, has always been known as dangerous terrain for vessels of all sizes, thanks in no small part to its miles of shifting sandbars and two major global currents, the Labrador Current and the Gulf Stream, that skim just past the region. With this in mind, the Elizabeth City station was established just miles away from the oceanfront and 62 miles northeast of Cape Hatteras, with initially four officers, 52 enlisted men, and ten aircraft, which included three Hall PH-2 seaplanes, four Fairchild J2K landplanes, and three Grumman J2F Duck amphibious aircraft. During the early years of the Coast Guard's existence, which coincided with the very beginnings of World War II, the station was under the control of the United States Navy, which conducted a number of search and rescues for the innumerable ally subs and ships that were bombed offshore by German U-boats. Since the threat of submarine attacks have left the shores, however, the station's attention has turned to aerial missions, and in 1966, the station grew as it absorbed not-so neighboring coast guard air stations located in Bermuda and Newfoundland. Today, the station is still renowned for its in-depth aviation training and rescue or operational missions, but also focuses on a variety of other national interests, such as the operation of local lighthouses, (which have always been instrumental along the Inner and Outer Banks), and marine environmental operations, such as responding to any potential oil spills. 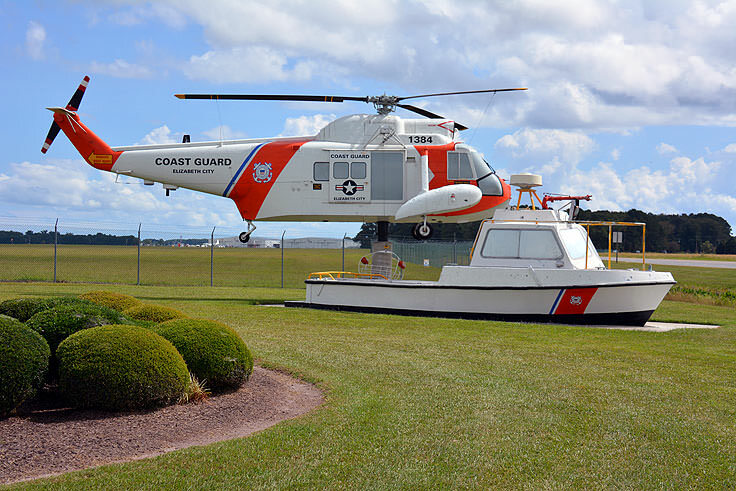 The Elizabeth City Coast Guard Air Station is located on more than 800 acres of regional land, which includes a wide range of roadways, landing strips, taxiways, buildings and stations, and more than 70 Coast Guard owned family housing units. 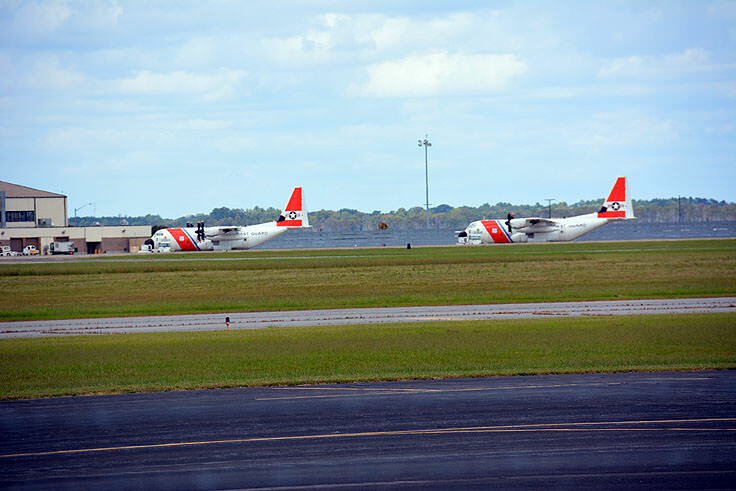 Most visitors to the Elizabeth City region won't have any encounter with the Coast Guard Air Station, however, which is located along the riverfront on Route 344, just a couple miles away from the Albemarle Sound and the Atlantic Ocean, but may hear the unmistakable sounds of the station overhead as new recruits and seasoned pros take to the skies in extensive training, local operations, or secretive missions that occur all along the East Coast. Needless to say, the Elizabeth City Coast Guard Air Station, a local institute for more than 70 years, is an immense source of pride for Elizabeth City locals, and while the members and residents of this base are generally hard at work at the somewhat secluded station, they do come out during special occasions, such as the annual 4th of July celebration. In addition, boaters and mariners of all varieties will be happy to know that the station and its hardworking personnel are always on hand when an emergency arises on the water. A notable institution that is one of the US Coast Guard's most acclaimed and recognized stations along the East Coast, the Elizabeth City Coast Guard Air Station ensures that the maritime traffic of the Outer Banks, the Inner Banks, and beyond remain safely protected, regardless of treacherous weather conditions or threats to national security. And although hidden, many local and visiting boaters alike feel better knowing that the CGAS is always on the lookout just a few miles away. Kids of all ages can instantly become scientists, gardeners, doctors, and pilots, all just by walking through the unimposing downtown doors of Elizabeth City's Port Discover. This cool destination provides hours of fun for local and visiting little ones, with a wide range of exhibits and interactive displays that covers virtually all young ages, complete with monthly and regular programs to make this expedition even more engaging. A delight for kids who won't quite realize that it's also educational, Port Discover is a great destination for new explorers to develop their interests and show their stuff in the heart of Elizabeth City. The Charles Creek Park, located just a block away from the waterfront at most, is a favorite local destination on a warm summer day. Featuring a wide range of activities that can easily be tailored to all age levels and outdoor interests, this small sliver of Elizabeth City is a fun patch of green space in an otherwise populated neighborhood that is wide open for everyone to explore.